Who Was Yogananda in His Former Lives? 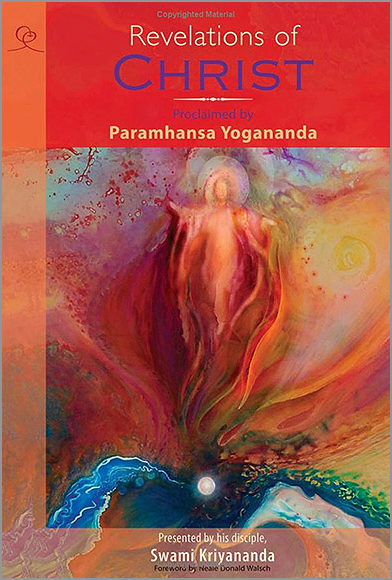 Revelations of Christ, by Swami Kriyananda, based on the Bible interpretations of Paramhansa Yogananda. I saw a cartoon this morning that spoke unusually well to the problems our world is facing at this time. It’s dangerous to start with a joke, because then you have to make it fit with your theme. But in this case I think it works admirably – perhaps with a slight stretch. In our all-day Christmas meditation yesterday, we felt the blessing of Jesus’ presence. It’s a blessing that carries us far into the new year. And it is not a Christian, Hindu, Buddhist, or Muslim blessing, because it’s born of our own personal, individual communion with the Divine. During the meditation, we listened to a brief Christmas message that Swami Kriyananda recorded four or five years ago. In that talk, Swamiji quoted Yogananda’s statement that the three wise men who came to visit Jesus in the manger were Sri Yukteswar, Lahiri Mahasya, and Babaji. He told us that he’d been working on Revelations of Christ, a book based on Yogananda’s commentaries on the Bible. And he said that the longer he worked on the book, and the more deeply he attuned himself to the consciousness of Jesus, the more he became convinced that the same soul that lived as Yogananda had lived as Jesus in that life. He said he could feel that they were the same soul. And it answered for him a curious question, that if Sri Yukteswar, Lahiri, and Babaji came to pay homage to Jesus, then who was that little baby in the manger? I remember a conversation I had, years ago, with Swamiji about Master’s Bible commentaries, during which we touched on the issue of whether Master might have been Jesus. Swami said that if it was true, and if he had proclaimed it, people wouldn’t have been able to hear another word he said, because it would have stirred up such a huge controversy. The point is, there’s a lot that goes on in religion that’s more cause for amusement than inspiration. I remember how, in the 1960s and 1970s, you could find someone on practically every street corner proclaiming that they were the reincarnation of some great master. Yoga Journal had just started, and I remember a full-page color advertisement for a well-known teacher of the time, who’s long since faded into oblivion. He listed the many miracles he’d performed in his past lives, and the avatars he’d been, including Lord Rama, Krishna, and Jesus Christ. In the Sixties, new religions were springing up like weeds, and they had a certain appeal for the many young Americans who were spiritually searching, and many of whom were influenced by psychedelic drugs that did little to strengthen their discrimination. But when a teacher of Swami Kriyananda’s stature says that Jesus and Yogananda were the same soul, it’s a wholly different matter. And yet we ultimately have to ask ourselves, what difference does it really make? It may be pleasant to contemplate that we’re part of a path with such a distinguished pedigree. But that’s really not the point, is it? People will often profess to be tolerant in their religion, but what they’re usually doing is just looking at you with a sad smile, as if to say, really, it’s too bad that when we get to heaven you won’t be there, although you’re sincere in your misguided beliefs. The misfortune is when you come to the end of your life without having grown out of that kind of dogmatism. When we first enter the spiritual path, we generally start out identifying with a certain church and its dogmas and rituals. But what God ultimately wants for us is that we broaden our horizons, and realize that He is playing through all of these paths. 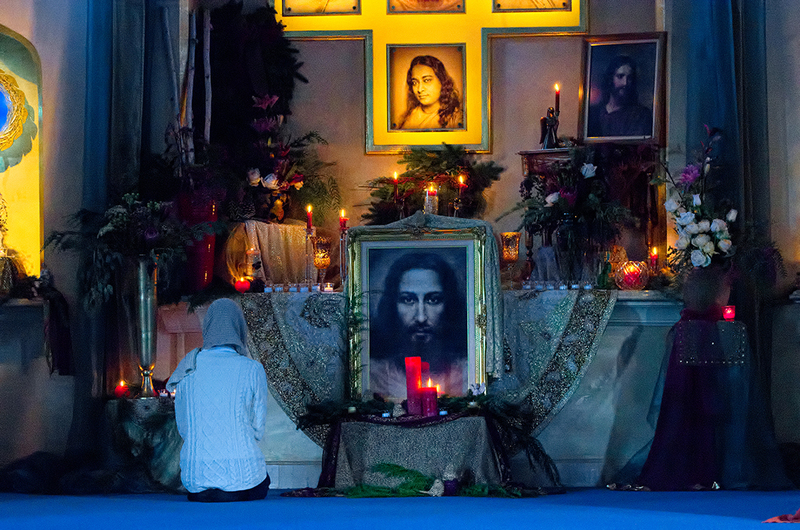 Why would Yogananda make a point of saying that our gurus were present at the birth of Jesus? And why would Swamiji say that Master was present at that time? I believe the message they want to leave with us is the stunning depth of God’s compassion and love. Swamiji talked about how our line of masters have played an important role in the history of this planet. 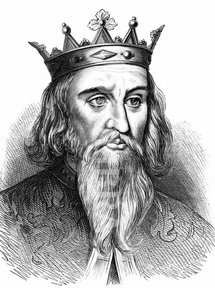 He told us that Master was William the Conqueror in a former life. And Swami explained that God sent William with a mission to unite the British Isles under a single monarchy, as a bulwark against the pagan tribes from the north who were threatening to drive out Christianity. And Swamiji said that he was born as William’s son, Henry I, who completed that work. He spoke of how Master lived as Fernando III of Spain, who was known as “The Saint,” and how God gave him the mission in that lifetime of driving out the Moors, who were intent on conquering Europe for Islam. And then Swamiji spoke of how he was Fernando’s son, Alfonso, known as “The Wise,” who again helped complete his master’s work. Swamiji said that he believed God gives the responsibility for the spiritual welfare of a planet to a specific line of masters who return again and again. Many of us at Ananda feel a sense of identity beyond this particular time and these particular incarnations of our masters. We feel that we’ve walked this path before. In Autobiography of a Yogi, Yogananda says that Babaji is concerned with the very long-term spiritual development of the planet and the souls who are born here. And certainly it takes more than one lifetime to achieve our freedom, and why wouldn’t our spiritual guides return many times to help us? Master said that we don’t always return to the same planet – in his words, “lest we find out too quickly.” Meaning that we might begin to suspect that we’ve been here before, and we might start to wonder about the need to be free of the cycles of rebirths, before it was our time to discover these higher realities. In Master’s most recent life, God sent him with a great mission, to further the unification of East and West, and to restore the original, scientific teachings of Jesus and Krishna, and to show their unity. And what could unite us more effectively than to understand that these great masters have brought the same teaching over and over, with the goal of helping us grow beyond outward forms and rituals, and discover our inner oneness with God? Self-realization is not a religion. it’s a state of consciousness that we’ve committed ourselves to achieve. Our spiritual commitment is not to an institution, but to the process of Self-realization, and to discovering that on the deepest level of our being we are one with the Divine. Master said that when Jesus was in his early teens, he returned the visit of the masters who’d come to attend his birth. Master explained that Jesus had reached an age when his family wanted him to get married. So he left, and he traveled first to the Himalayas, where he spent time with the masters who’d come to Bethlehem. And then he traveled widely in India. 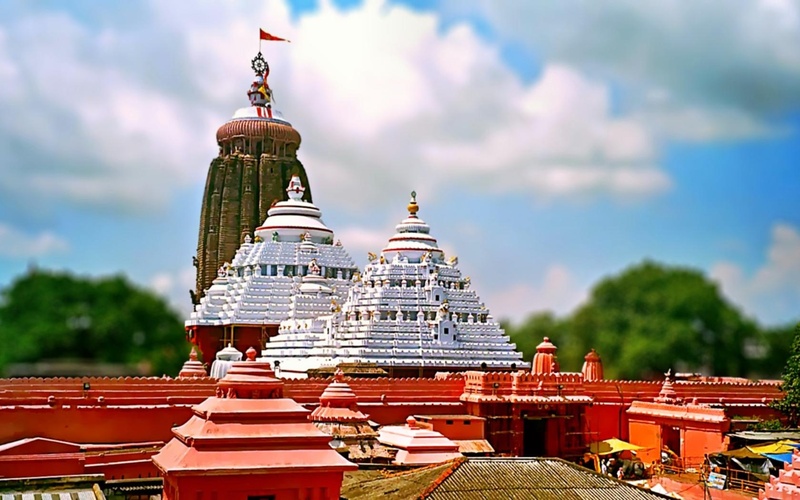 Stories are still told about how Jesus visited Puri, where they were very dogmatic in their spirituality, and how he got into trouble when he tried to get them to be more broad-minded. 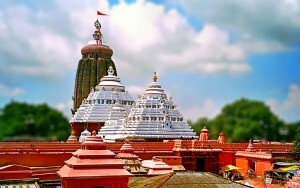 The Jagannath Temple in Puri is still known for being extremely dogmatic and narrow-minded. They won’t even let you enter unless you’re Hindu and Indian, and they’re absolutely firm about this. When our tour guide found out that we wouldn’t be allowed in because we weren’t Hindu, he went and spoke to the temple board, because he thought it was outrageous. Apparently it was the same in Jesus’ time, and He didn’t get any farther than we did. But Jesus spent eighteen years in India, which was much longer than the three years of his adult life that we know about from the Bible. There’s a sincerely spiritual man named Bishop George who’s done a lot of research about Jesus’ time in India. Bishop George was formerly Swami Nirmalananda, and he’s a friend of Swami Kriyananda’s. He’s very careful in his research, and I tend to trust what he’s written. He also did a great deal of research on the Apostle Thomas. Thomas’s assignment was to go to India and carry on the work that Jesus started there. Thomas ended up in the south of India, where there’s still a large Christian element based on his work. His body is buried in Chennai, in a big cathedral, and it’s a very powerful place. When Jesus died, and the apostles were trying to decide what they should do next, Thomas wasn’t part of the discussion, because he had received his assignment directly from Jesus. Thomas left immediately for India, completely on his own, and he never came back. 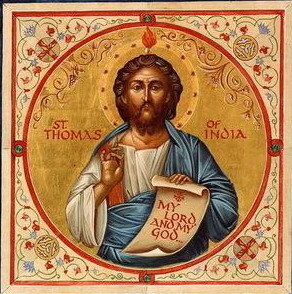 It’s very interesting that the teachings of Jesus that Thomas brought to India were very close to Sanaatan Dharma, the nonsectarian, scientific “Eternal Religion” of the Vedas. That isn’t what Jesus taught, and Thomas went to India to finish what Jesus started. Thomas was a man of great spiritual power, and he was very successful. And then, about three centuries later, the Portuguese came along and decided that Thomas’s teachings were too close to the indigenous religion of India, and so they tried to destroy Thomas’s work and replace it with Roman Catholicism, with considerable success. St. Thomas. He died a martyr after an angry prince ordered his death due to his converting two of his wives. Jesus’ and Thomas’s work in India was part of the same effort that Yogananda came to complete, of uniting East and West. On a political level, Master said that America and India will eventually stand alone against the rest of the world. And on a spiritual plane, he came to bring a new understanding, that the roots of the religion of East and West are the same, and that they are the nonsectarian, scientific principles of Sanaatan Dharma. Master said that the time has come for East and West to unite. And what did he mean? Does it mean that we will go around chanting “Jaya Shiva Shankara”? Or does it mean that it’s time for people to embrace a religion that’s based on their own experience, instead of blind belief? What could be more extreme than the idea of Christianity uniting with an Indian mystical tradition that most worshippers in the West today consider to be pagan and idolatrous. But the true religion of the East is much deeper than the dogmatism and outward forms that both Hinduism and Christianity have fallen into. Yogananda came to reveal that eternal truth, which offers worshippers of East and West the time-tested, practical methods for realizing that we are one with God. The Eternal Religion tells us that we are here for one purpose only, to grow ever closer to God. And no one can define that relationship for us. No one can give us a set of formulas and promise that if we repeat them with our mouths and minds we will know God. And no one can excommunicate us if we refuse to believe blindly, or if we violate their ideas about religion. The true religion is only and always between us and God. There was a woman in our community who died relatively young of cancer. When Swamiji spoke at her astral ascension ceremony, he remarked that she had expressed only a little of her true self through her body and personality. He said that she had kept most of her true identity hidden in Spirit. Later, her sister said, “How could Swami know that?” Because they had been close, and she knew that her sister was much more than what she had showed to the world. I’ve given a lot of thought to Swamiji’s comment, because I find it interesting to contemplate that in our souls we’re much more than we seem. We’re accustomed to putting out tremendous energy, and then we define ourselves by what we’ve done and what we’re doing. And yet, how much do we really know about our inner nature? Our Sunday service readings urge us to share everything with God, even our fleeting fancies. We can start by talking to God occasionally, and then we’ll gradually find that we’re talking to God all the time. We’re always longing for someone to talk to. We yearn for someone to hear our thoughts. We need somebody that we can relate to in a natural way, with complete confidence and trust. Imagine what it would be like if the company we were keeping with the Divine became so deep and dynamic that we no longer even needed to put it into words? There’s a sweet story of Teresa of Avila. Teresa would often be called from her cell in the convent to speak with visitors. She was very well-known and charming, and many people would come to call on her. But it was tiresome to be called from her devotions. And after chatting for a while she would say, “You’ll have to excuse me, there’s a guest waiting for me in my cell.” And the guest was Jesus, who would come and talk with her. It was a relationship that was so much more real and important to her, and why would she pour out her thoughts to people who could never understand her? Now, whether our communion is with Christ, Krishna, Yogananda, or the Divine Mother, the only purpose of our lives is to cultivate that relationship. It’s the same message that the masters repeatedly bring us. And here we are, blessed to be in that divine relationship again. He urged us, “Seek ye first the kingdom of God.” And where is that kingdom? It is not found in an institution. It is found within, in communion with the Comforter, the living presence of God that we discover when we absorb ourselves in the blissful sound of AUM. Look at the world that we are living in. Look at its values, and see how far it has wandered from the purity of Jesus’ love, and from the pure essence of Judaism and the essence of every other expression of the Eternal Truth. Look how far we’ve wandered into fields of materialism, and corruption and misunderstanding. It’s truly tragic, and it would all end in tragedy, except that the Masters come again and again to show us the way to salvation and freedom. There’s nothing selfish in that thought. In fact, it’s exactly how we should feel. When we bow to the baby Jesus on the altar, and when we see him carried in on Christmas Eve, so triumphantly and with so much devotion, don’t think that He came to save the world. He came for you. He came for each of us, to persuade us to return to our true home, in his infinite love. Growing Into a Greater Self — Let God Change You! Hello Thomas. Thanks for the thoughtful note. You make a good point – that what matters most to us as devotees is our own connection with the Guru. But Yogananda’s work also has a role to play in the broader context of history. Master himself talked about his former life as William the Conqueror, for example. 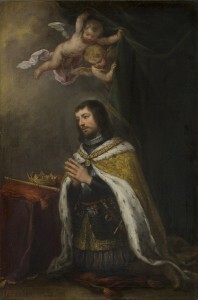 It’s at least interesting that he was born at that time to defend Christianity against the invading heathens from the north – and that he was born again as Fernando X of Spain (known as “El Santo” – the saint), to start the work of defending Christianity against the Moors who wanted to take over Europe for Islam. These various lives lend a certain authority to Yogananda’s statement that he came, in this life, to set Christianity back on its proper foundation, by showing its practical, scientific roots. Finally, many of Yogananda’s devotees feel a strong attraction and connection to the Christian saints; and knowing that Yogananda played such a central role in defending Christianity helps those of us who feel that way, by reassuring us that we very likely were with him when he lived in Normandy and Spain, and that’s it’s perfectly fine to continue to nurture our feelings of devotion to Christ. I hope this helps. As for Swami Kriyananda’s role in helping Master in those former lives, knowing the fact helps to refute the ridiculous picture of Swamiji that SRF has invented. So, there’s a possibility that Yoganda might return at the present time in order to confront lslam, which is again [through Hijra or migration] trying to invade Europe and the US through a civilizational Jihad. Hello Mike. While I think it’s interesting to contemplate Yogananda’s past lives, who can say what the future will bring. His mission this time was to set Christianity and Hinduism back on their foundations. Religion is being so widely discredited these days, for its adherence to rituals and dogmas and its insistence on blind belief. Yogananda gave the faithful of all paths a way to make their religion scientific, by testing God’s existence in the laboratory of their own bodies and minds and hearts, using the tools of prayer and meditation. This is surely one way to strengthen Christianity against the threats of “scientific” atheism or nihilism on the one hand, and radical fundamentalism on the other. He did predict that America and India would stand together against the rest of the world, and that they would prevail.